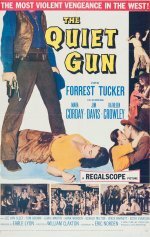 In this western, the town sheriff must look into a scandal involving his friend who is reportedly having an affair with a Native American girl while his wife is on a trip. The friend is enraged at the accusations and kills the town attorney. He is then lynched by the angry town folk. The sheriff is perplexed by the brouhaha and begins investigating. Soon he discovers that the whole mess of rumors were started by a saloon owner and a wicked gunman who were conspiring to steel the dead man's valuable land. The sheriff then engages in a showdown with the two villains.